It’s almost time to open the windows, air out the house, and give it a good cleaning down to the bones. Unless you’re one of those amazing people totally on top of things, chances are you have at least one area of your home that’s less than organized. 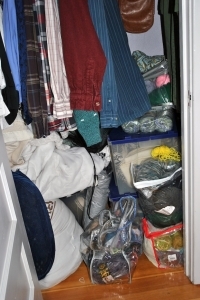 A closet is overflowing with clothes you no longer wear. A basket is filled with birthday and holiday cards you can’t bear to part with. 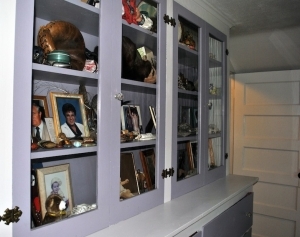 Books and mementos cram shelves, and plastic containers spill from kitchen cupboards every time you open the door. While the weather is still less than accommodating, take the time to sort through the clutter and make those hard choices to donate, keep or toss. I am not advocating that you pare down to only the bare essentials; this is purging in moderation (the real trick is to keep from over-consuming in the first place). Personally, I’m a fan of keeping as much of my excess out of the landfill as possible. I prefer donating items still in good condition to my neighborhood thrift store—keep it local! Since I fill out the long tax form, I am able to deduct these donations. Before packing items up, I take a digital photo of each. If it’s a name brand, I make sure to get a close-up of the label too. The digital library helps me determine value when I’m doing my taxes, and is a perfect record. I try to document any big-ticket items with receipts/manuals. 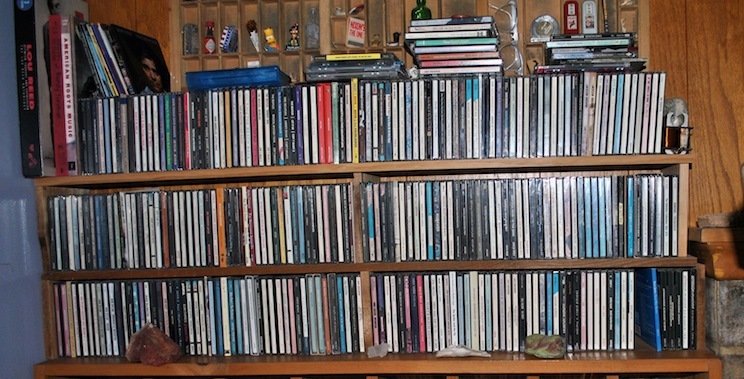 Some used-book stores take books, CDs, videos and DVDs in exchange for cash or credit. You won’t make a fortune, but it’s a great way to trade-up as a child’s reading level increases. National chain Half-Priced Books is one of the best for this, but some locally owned stores do this as well. Items that have stains or need repair get a bit more scrutiny. I do confess to saving some things to be repurposed at a later date. 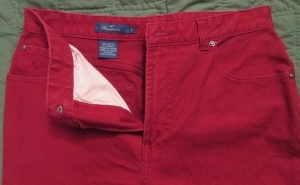 I always cut up worn t-shirts into rags; they are ideal for dusting and cleaning eyeglasses. Sweaters can be turned into a variety of gift items, and textiles can yield fabric and buttons for crafting. See my post on repurposing a cotton top sheet into a comfy nightgown for one idea. Check out my Pinterest Repurposing board for more. Luckily, I have a craft area in my basement to store this stuff (but even that needs purging at times). If the clutter contains a lot of precious treasures like children’s artwork or souvenirs from a special vacation, either box them up for long-term storage, or find ways to display them artfully. I’ve given a great option for artwork in this recent blog post, but it’s certainly not the only approach. Shadowboxes can be a beautiful way to showcase memories, and cabinets with glass panels keep your treasures dust-free. If you don’t have time for a project, box them up until you do. See my Resources Page for tips on how to save things. Once you’ve distilled down to the “toss” pile, be sure to separate out any recyclables and get it out for pick-up. Now you have a space ready to be rejuvenated with simple non-toxic cleaners and a bit of elbow grease. More on that to come! Always a great reminder….any suggestions on how to help ones spouse divest? A real challenge! Ahhh… spouses (spice?—tee hee). Mine has packed boxes in the garage that he has not looked in for at least 15 years. And still has his college textbooks (40 yrs old). Sigh. « Previous Put a Shine on Your Shoes.